Last week, a federal judge issued a ruling that severely delays the execution of admitted double-murderer Von Lester Taylor, who pled guilty. While we respect the United States District Court and this judge in particular, the decision causes us great concern. The State of Utah must now prepare for a new phase of prolonged litigation as the victims and their families wait even longer for justice. In 1990, Von Lester Taylor and Edward Deli committed a Christmastime home-invasion and robbery. You can Google this. Both men were armed. During the incident, Kaye Tiede and her elderly mother, Beth Potts, died of multiple gunshot wounds. Later, Taylor admitted firing the first shot, and Mrs. Tiede’s daughter witnessed Taylor shoot her mother. Both daughters (aged 17 and 20 at the time) saw Taylor shoot their father, Rolf Tiede. Rolf was then set on fire. Rolf survived but has since passed away. After the shootings, Taylor and Deli kidnapped the daughters, but were captured by police before making it out of the county. It is the view of the State of Utah that Taylor is not innocent at all. This federal review of Taylor’s 1991 guilty plea and death sentence has spanned twelve years so far. We’re concerned that the court’s ruling now permits Taylor to raise dozens of new complaints and further delay justice for the victims and their families. Peterson estimates that technicality will delay Taylor’s execution by as much as another decade. “This decision disregards Utah accomplice liability law, Taylor’s multiple confessions and, most distressingly, the feelings of the victims’ family who have pleaded for speedy justice,” Peterson said. The State of Utah is now preparing for prolonged litigation, at the same time exploring all available options in response to the federal court’s ruling. 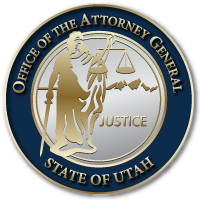 This entry was posted in Recent Posts and tagged Tiede Family, Utah Attorney General's Office, Von Lester Taylor on March 8, 2019 .